EEK!! The canned fruit industry is worse than we think! You know that the canning process uses high heat, and this destroys the antioxidants and the taste, so canned foods in general have to be “doctored” to taste better. Check the ingredients and you’ll find ascorbic acid and citric acid (often made from GMO corn). Sometimes they add Natural Flavor (MSG). “In heavy syrup” means it can have 3 kinds of sugar: GMO High Fructose Corn Syrup, Corn Syrup and GMO Sugar. When you see “No Sugar Added” on the label – avoid!! 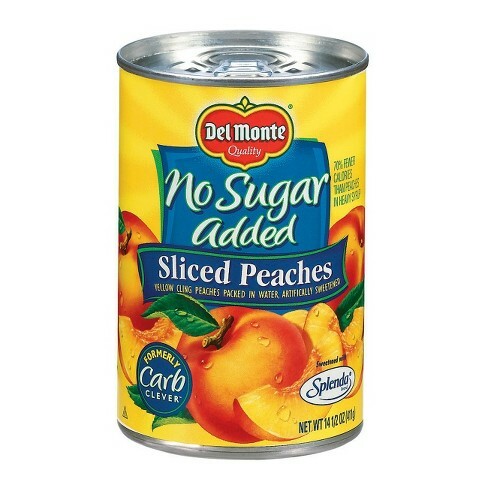 These cans of fruit have added artificial sweeteners, typically Acesulfame Potassium and Sucralose/Splenda!! 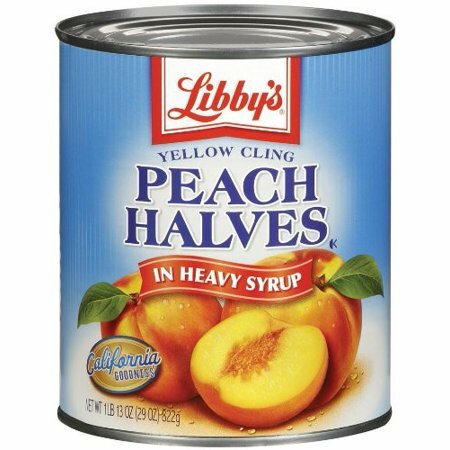 The fruit is usually peeled for canning, so the fiber is almost gone too, leaving you with a can of sugary dead fruit with chemical preservatives, maybe MSG. How much sugars in a can of fruit? In Heavy Syrup – a can can have 88g carbs – which turns into 22 tsp of sugar!! “In 100% Juice” can have a lot of carbs too, 60 grams – which turns into 15 tsp sugar. So, no nutrition, lots of carbs, chemicals, MSG. OH, and the can is lined with BPA. Eating food out of cans regularly can seriously raise your level of BPA – which is a hormone disrupter. 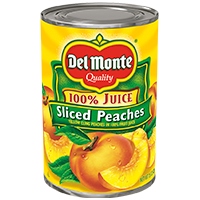 One more thing, the “juice industry” who makes the 100% juice you drink or that is added to the cans, comes from a process that takes the whole fruit and squeezes it, peel and all. But, to get every drop of juice out, acids are used. Eat the whole fruit. But not too much. 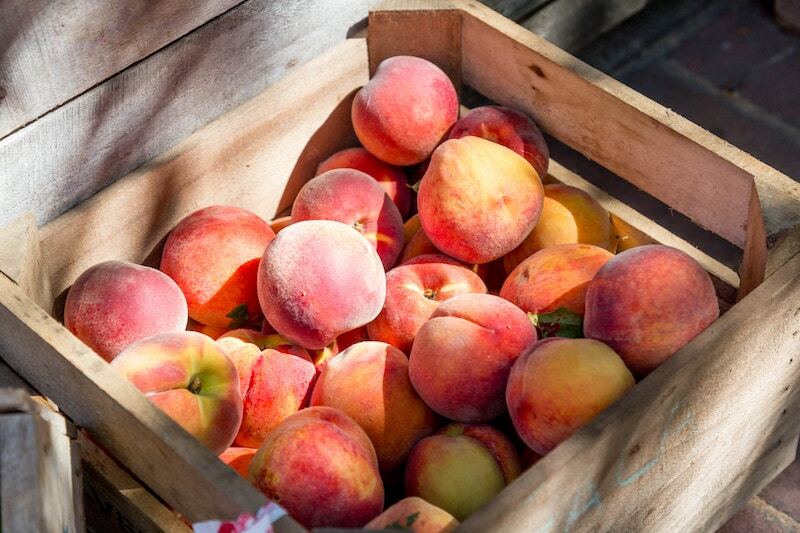 Eat a peach – it has all the fiber still, has not been heat damaged, no chemicals added if you get organic, and is only 14g carb or 3.5 tsp sugar. But, eat it with fat/protein and limit fruit to 1-3 servings of whole fruit/day. I love the organic frozen berries from Costco. Great to add to a smoothie, or even have with some coconut milk and nuts. There are books being written and articles that help us peek behind the curtain of the food industry. Every time I do, I see they are doing more and more things to ruin our food. 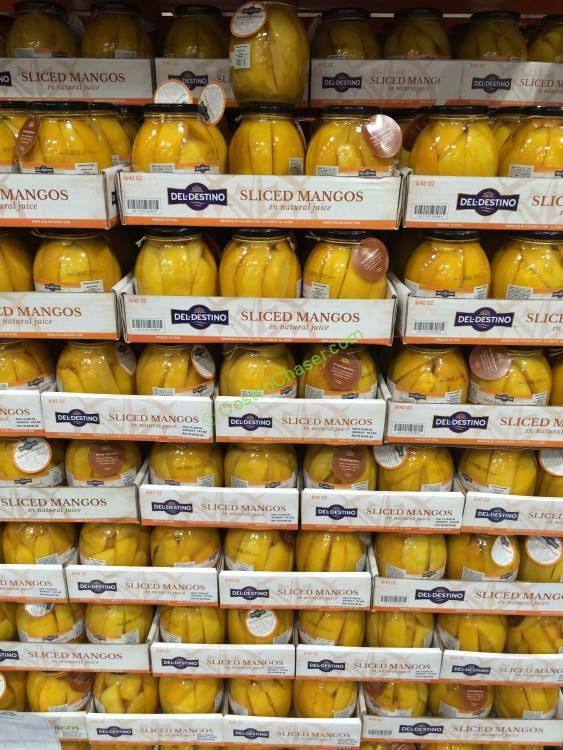 Regarding the big jar of mangos at Costco. – Most likely ingredients are mango, mango juice, sugar (GMO if they don’t say Cane Sugar), Preservatives like Calcium Chloride or GMO Ascorbic Acid. Same. Old. Sugary. Dead. Fruit. They ruined the mango and added sugar or it would taste terrible. INSTEAD: buy fresh or frozen mango if you want to have mango. Yes, I do know that some people don’t have access to fresh and frozen fruit.